Since Friday morning, a search for the "near-threatened" category bird has been on in Basai wetland, Najafgarh and Sultanpur area. The birders had given up hope and today was supposed to be the last day of the search. 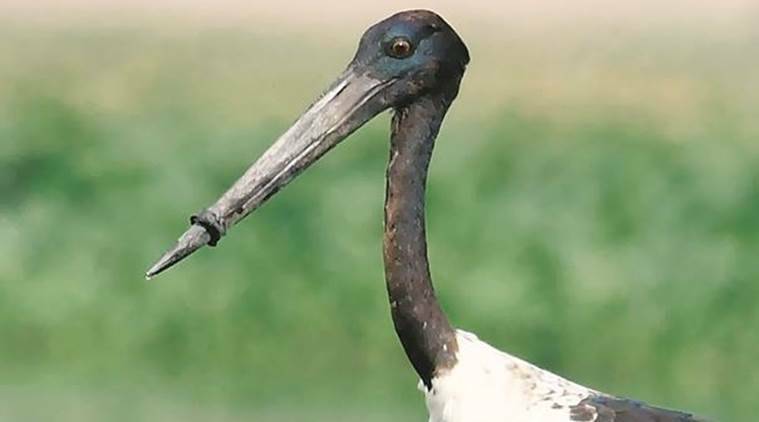 At 5:55 pm, two birders in the Najafgarh area spotted the black-necked stork that was photographed on Thursday evening with a bottleneck around its beak. Since Friday morning, a search for the “near-threatened” category bird has been on in Basai wetland, Najafgarh and Sultanpur area. “We have informed Vivek Saxena who is the Chief conservator of forests, Haryana, as well as the District Forest officer. Their team is at the site and they are sitting 100 metres away from the bird,” said senior birder Pankaj Gupta. The birders had given up hope and today was supposed to be the last day of the search. The rescue operation to remove the plastic bottleneck from the bird’s beak is still on, and in case the agencies don’t manage to rescue it today. the search for it will continue tomorrow.